Take 1 capsule a day, with a meal. The preparation may be used every day to increase immunity and also as a means improving skin condition. 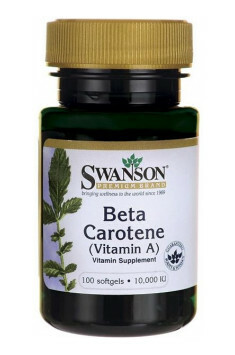 The recommended daily dose of beta-carotene is from 10.000 IU to 25.000 IU, while the optimal dose with the aim of general prophylaxis seems to be 1 capsule (10.000 IU).